Looking at the potential for research-use by educators to improve schools for all young people, An Ecosystem for Research-Engaged Schools presents a range of ground-breaking research and fascinating case studies. 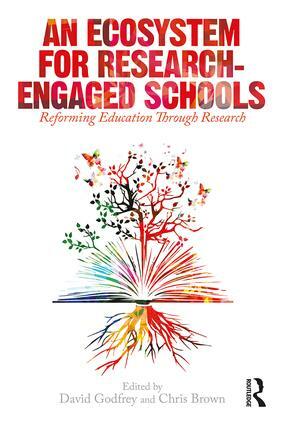 It carefully explores the elements and dimensions of research-engaged schools using an ecosystems perspective to study the layers and interconnections that occur amongst the people and institutions that exist within the ecosystem. Allowing the reader to consider how to ensure independent elements of the ecosystem are maintained to ensure an effective balance, this book brings together contributions from international experts working in a variety of fields such as school leadership, professional development and accountability. Key issues facing the research-use ecosystem both theoretically and empirically are covered, with examples of innovative practice, new theories and value systems. The book also provides an insight into the exciting possibility of such a system of learning and innovation in our schools where structures, cultures, practices and policies align to promote research-informed school improvement. reconciles all aspects of the ecosystem within an overarching framework which attempts to explain the complex totality of the ecosystem. Designed to both challenge and inspire, An Ecosystem for Research-Engaged Schools truly bridges the gap between theory and practice. It will be an invaluable asset to those currently working in the area, allowing them to think more deeply about their work and the theoretical mechanisms that underpin it. Policy makers, practitioners and teachers will also find this book a fascinating read.